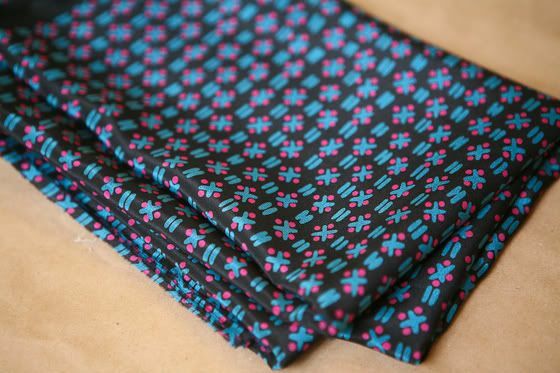 I just bought this beautiful silk for another Megan Nielsen Darling Ranges dress. I am pretty excited about the look of the fabric, but also a little scared of working with this delicate and slippery choice. Here are a few links that I found and will be using as I cut and sew this version. Do you guys know any other tricks? I love the print! It’s going to make a beautiful dress. Such a pretty print! I use a lot of slippery fabrics because apparently I like to torture myself! I usually use plain old spray starch to iron the fabric and give it a little stiffness. (that’s probably a big no-no with some people but I’ve never had a problem with it washing out on synthetic or natural fibers)When I cut I use clothespins to hold the fabric to my mat around the edges, then I use pattern weights instead of pins because I find pining the pattern to the fabric can stretch and distort it sometimes. Hope that helps! Just cut it between paper and it will be as easy to cut as…paper! I just noticed you’re in Evanston, did you get that at Vogue? I’ve almost bought that fabric a few times but sadly made,myself stick to my list. It’s going to be beautiful! Beautiful fabric. Like the other commentor Forrest , I have used spray starch to good effect. I have only ever used it on Synthetics though. I am kinda scared to spray it on delicate silk for some reason.